Flower - Nigella (Love in a Mist). Summer in Astratigos - Nigella Copyright W.Burgess Cretanvista. 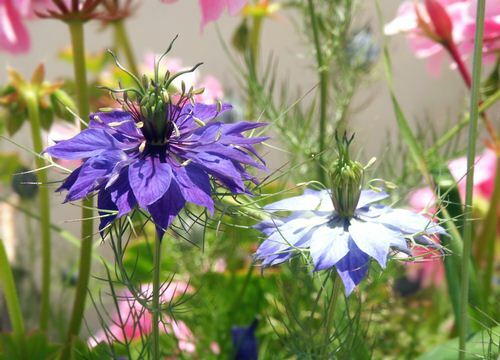 Nigella, (Love in a mist) is one of the most stunning garden flowers we see here on Crete. Although the seeds for this one came from our English country garden, we also have a Cretan version very like the purple-blue flower above.